How Much is Esthetician School? A lot less in 1946! One of the main concerns with any higher education is the task of paying for that schooling. Students who wish to attend esthetician school should make sure they understand exactly how much their school of choice costs (short answer is anywhere between $4,000 and $18,000), and what those fees cover. Even if students wish to attend a school that is slightly out of their budget, it helps to remember that there are additional methods to help pay for those courses. Use the form below for help in getting cost info from different schools. Tuition for esthetician school varies depending on a variety of factors, such as the type of school and whether the school offers online training or not. Technical or vocational colleges are likely to have lower tuition totals than other types of schools. Online schools should also have a lower tuition than traditional beauty schools. Beauty colleges and high profile beauty schools are likely to be the most expensive, ranging from $10,000 and up. Students should look closely at tuition costs and the breakdown offered by the school so that they understand exactly what they’re paying for when they sign up. For example: Empire Beauty School in Flagstaff, AZ charge $16,100 for tuition + $1,681 for books and supplies. Often excluded from tuition totals are the amounts that students need to pay out of pocket for textbooks and other materials that they need in order to complete their coursework. Some schools may list this information, but not all do, so it’s important for students to consider that amount when calculating the cost of esthetician school. Textbooks can cost several hundred dollars, although some schools use their own instructional manuals, for which the fees are included within the tuition amounts. Other expenses to consider include products and materials needed for practical assignments, such as practicing facials on clients, massage oils, or aromatherapy treatments. Some of the paperwork you’ll need to fill out. Sometimes students think that because they are attending a beauty or vocational school, they must pay for their tuition completely on their own. The reality is that there is financial aid available for all sorts of programs, esthetician schools as well. 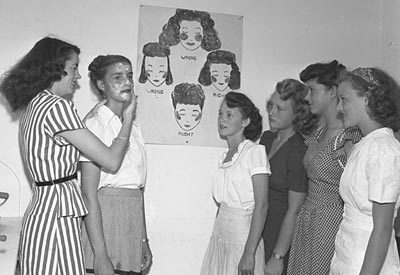 Esthetician school cost can be expensive, but with a little bit of legwork, students can find the help that they need. 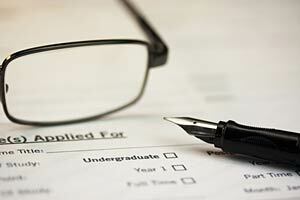 Paying in Full – Paying for tuition in full is ideal, of course, but it is not always feasible. If students are unable to locate financial aid options, some schools may offer payment plans to help alleviate the pressure of paying for classes (in laser schools, for instance) in one lump sum. Scholarships – Scholarships are granted by schools themselves and professional organizations. They have different requirements, and may offer to cover a percentage of the tuition or the full amount. Students do not have to repay scholarships. Grants – Grants can also be offered by schools or professional organizations related to esthetics, and they do not need to be repaid, either. Grants typically have a more stringent application process, and may also require that students meet specific criteria or submit specific results. Loans – Loans must be repaid, and students can obtain loans from either personal sources or from banks. Educational loans may be subject to different repayment terms than personal loans, so students should be sure they understand those payment requirements before signing any paperwork. Find out more about medical esthetician schools here.